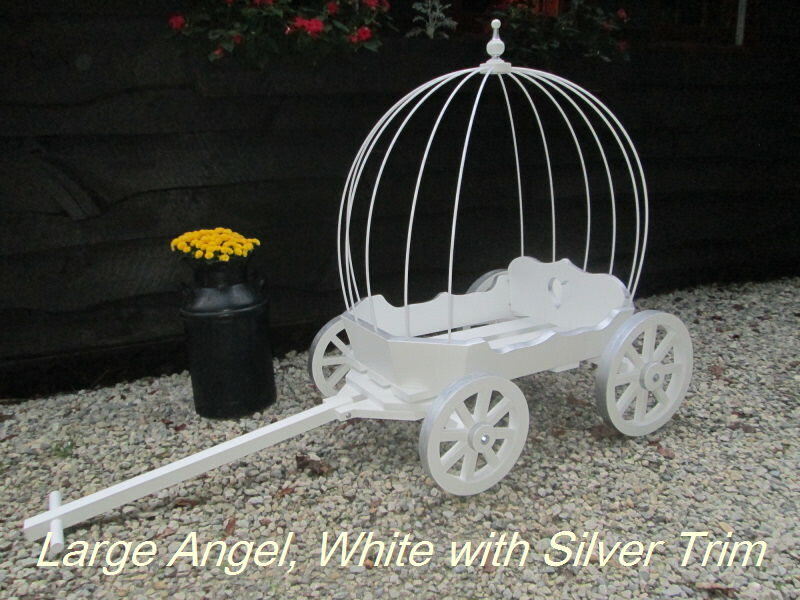 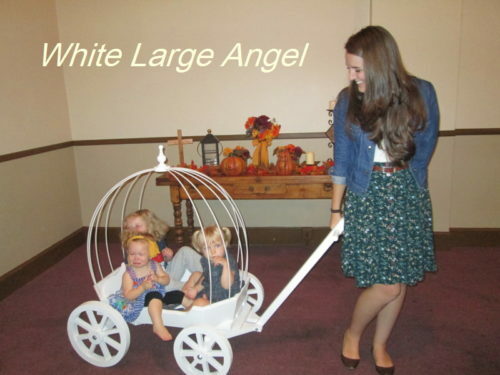 The Large Angel Carriage comes unfinished and ready to paint for $398. 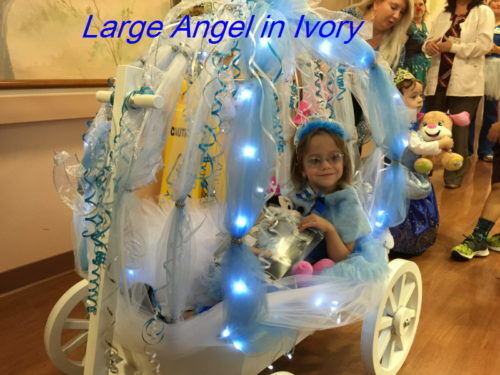 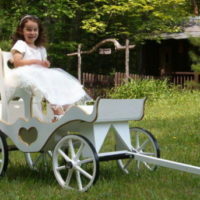 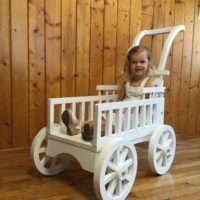 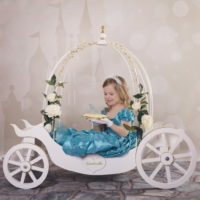 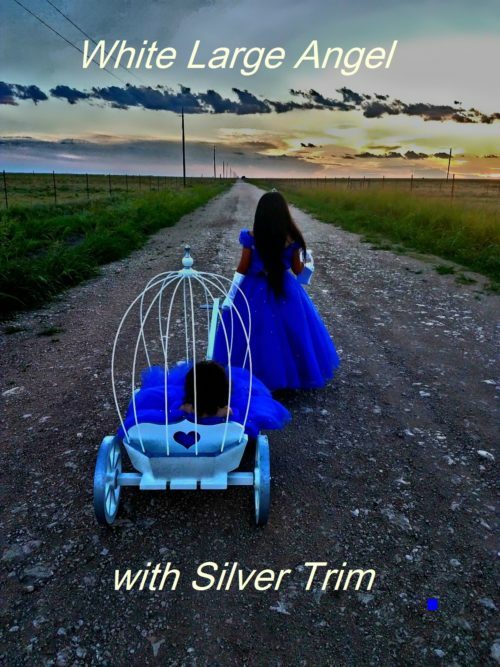 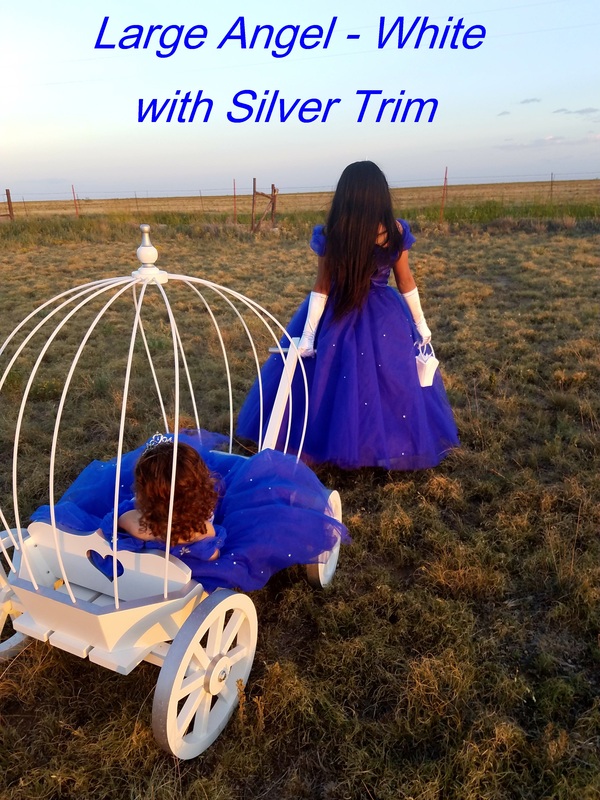 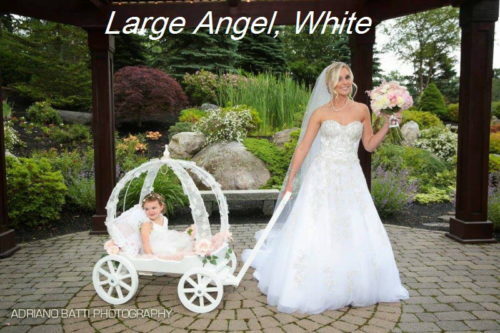 You also can choose to have us paint your carriage for you with two coats of White or Ivory gloss paint, an additional $120. 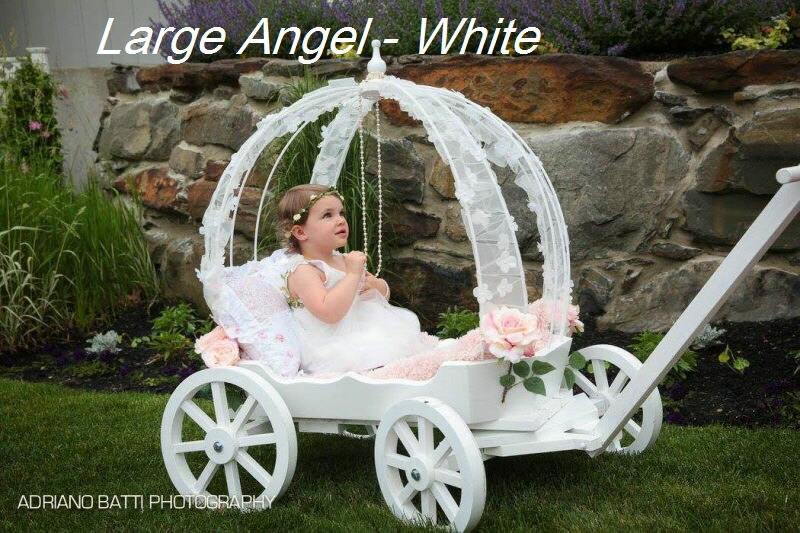 (Shipping is an additional $65 via UPS ground within Continental USA). 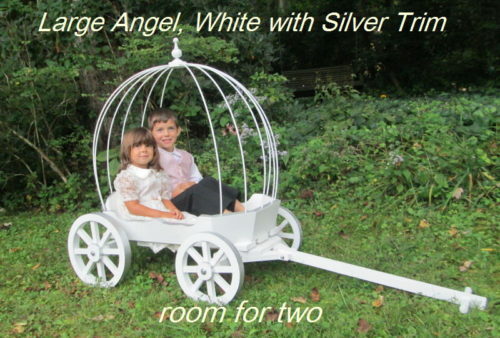 For expedited shipping, contact us after placing your order. 12 – 36” hoops included. 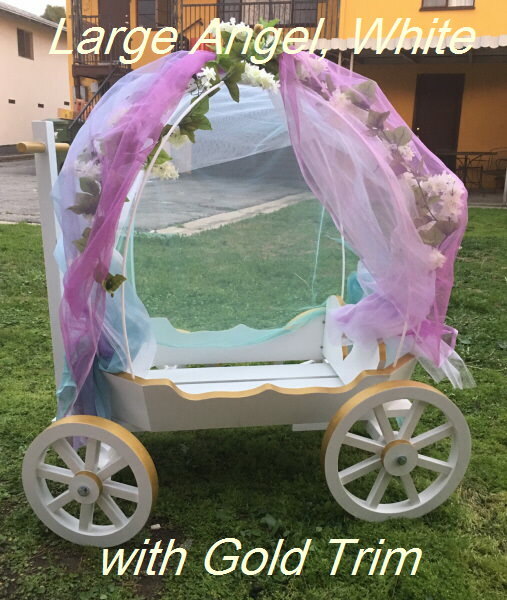 We can make these shorter or longer up to 48” at your request, no extra charge. 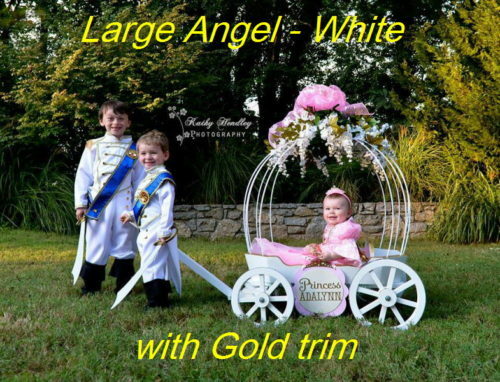 They are easy to cut.